Starting from Filey Brigg and finishing in Helmsley the Hardmoors 110 is a 112 mile continuous foot race, with 6000 metres of ascent, to be completed within 36 hours. 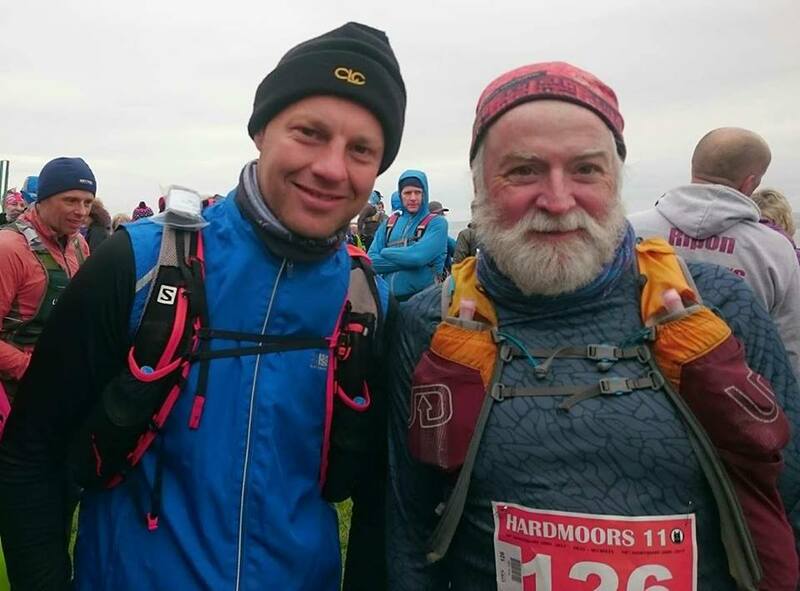 Neil Midgley and Peter Kidd toed the line at 8am Saturday 6th May looking forward to an epic day (and a half) out. Plenty of training had taken place although Neil was concerned that he maybe hadn’t done enough long distance. A 3 day 85 mile training session had helped to build confidence. The race can be broken down into 3 sections: the coastal path from Filey to Saltburn (54 Miles); Saltburn to Osmotherley (36 miles with most of the ascent); Osmotherley to Helmsley (22 miles). The first section was fairly straightforward Neil completing that section in 12 hours and Peter in 12 hours 20 minutes. A planned stop for food, a change of clothes for the night section and then back on the trail. 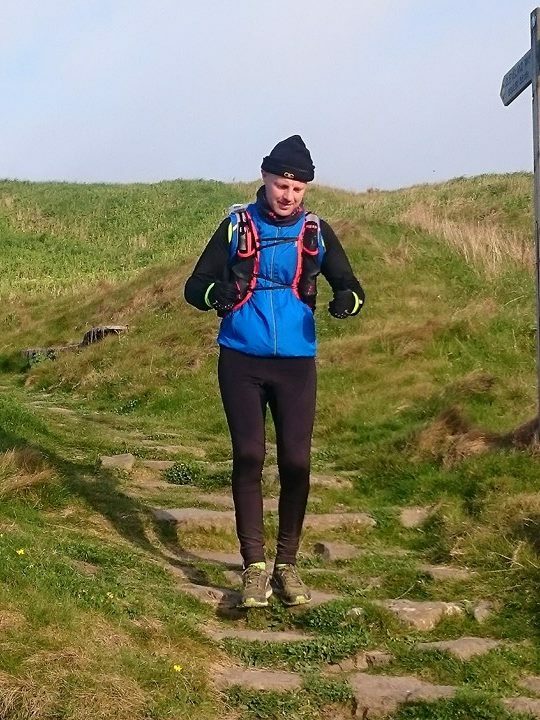 A further 10 miles in Peter went hypothermic – disoriented and staggering and retired at Gribdale Terrace having completed 64 miles. Neil got his race face on from Saltburn and started picking through the field. Having got through the worst section across Bloworth Crossing and with the sun starting to come up the determination to finish and get the best placing possible kicked in. It was clear to Peter (now in a support role) & Valerie (Platinum Support Crew Leader) that Neil was getting serious and digging deep. At 91 miles he was continuing to move up through the field and was in sight of a sub 30 hour finish. At the last support stop at Sutton Bank Neil polished off a Red Bull and pushed on through the cruel detour down to White Horse and back up the steep steps. 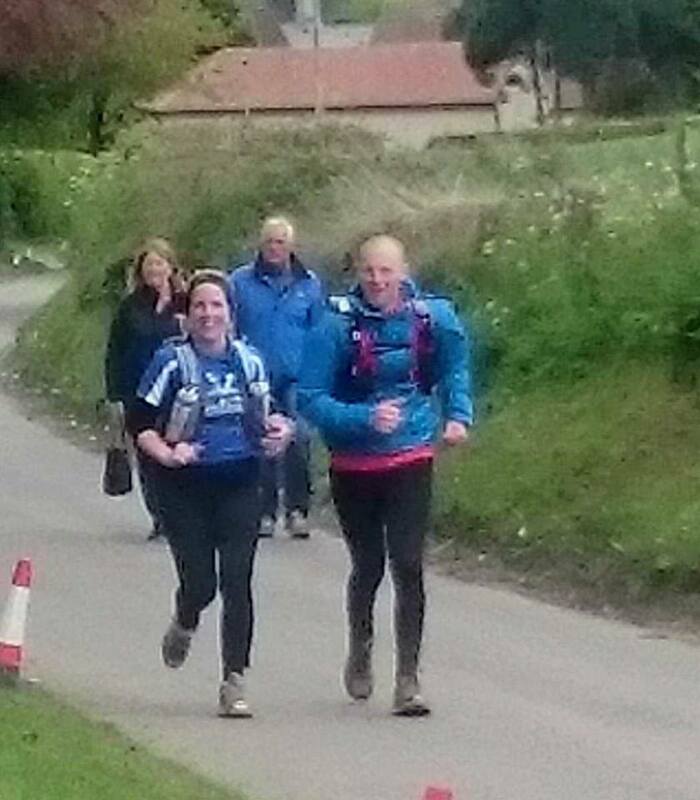 Onto the home stretch past Rievaulx Abbey, through Helmsley and out to the sports centre Neil ran into the finish in just over 29 hours (official times and places not yet out). Congratulations Neil – an epic achievement perfectly executed.